The best way to travel around Skiathos is either by car or motorbike. Get in touch with our reservations team to hire one before you get here or ask for informations at the reception. 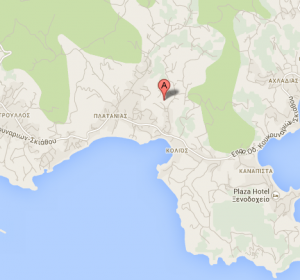 The only way to get from Skiathos Airport to Margi House is by hiring a taxi. There are available taxis at the piazza right outside the airport. 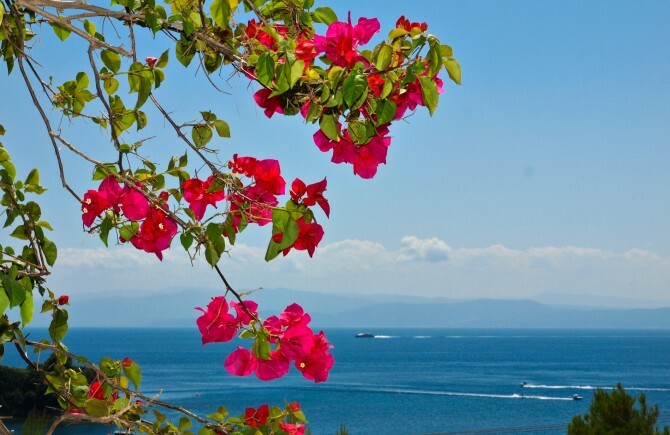 Hire a taxi or take the bus from Skiathos port. There is a taxi piazza at the entrance of the Port. Bus stop is located at the beginning of the Main Road. 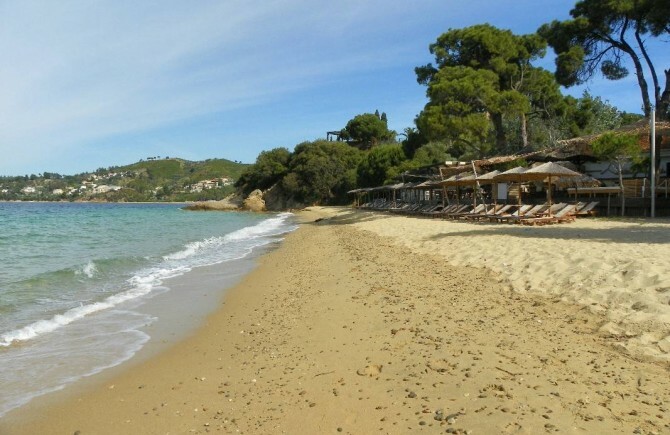 This is the most famous beach of Skiathos and one of the most widely - known beaches in Europe. It is known as "Chrisi Ammos - Golden Sand" since the sand there is extremely fine and shines under the summer sun. 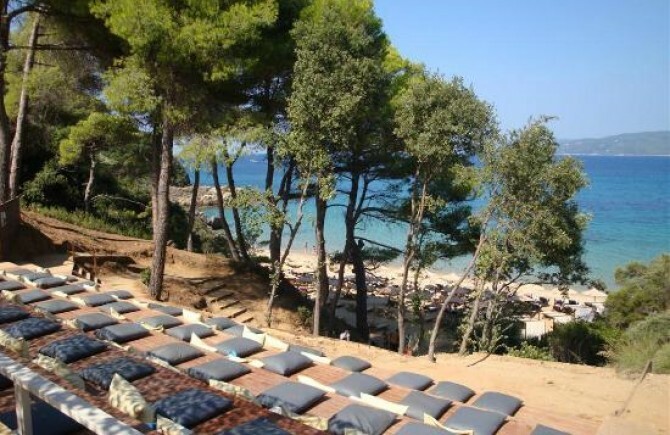 This beach offers the visitors its deep-blue, crystal-clear waters and a unique chance for a rest since the forest of Koukounaries reaches down to the sea. In this forest, there is the lagoon of Strofylia which together with the forest of Koukounaries are a rare aquatic natural reverse. 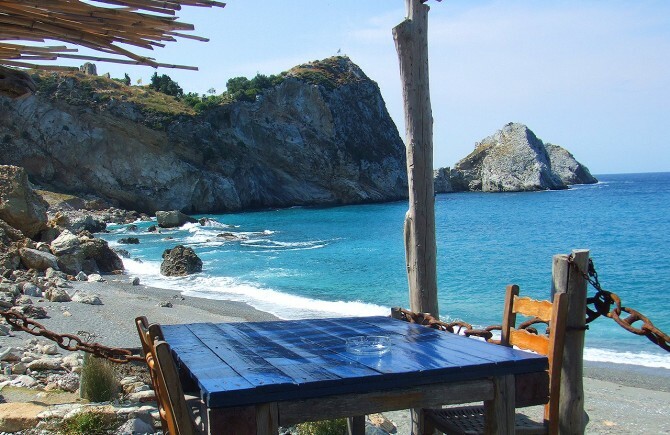 Lalaria is one of the nicest and most picturesque beaches of Greece and it is situated on the northeastern tip of the island. The northern winds fall with rage on the steep purely white cliffs, towering impressively over the sea. These winds have been creating for millions of years the round, white pebbles called "lalaria" which cover the whole beach. Skiathos Marina is located next to the central port of the town of Skiathos, the marina serves the increased demand driven by the great number of tourists that visit the island, especially during the summer months. At a distance of only 2km. from the island's airport and heliport, Skiathos Marina is situated literally at the centre of this cosmopolitan pine-covered island. 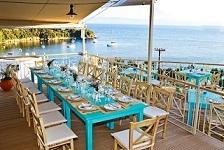 Opposite of Skiathos lies a group of little uninhabited islands that can be visited for day trips, as they offer lovely beaches and a supremely relaxed atmosphere. 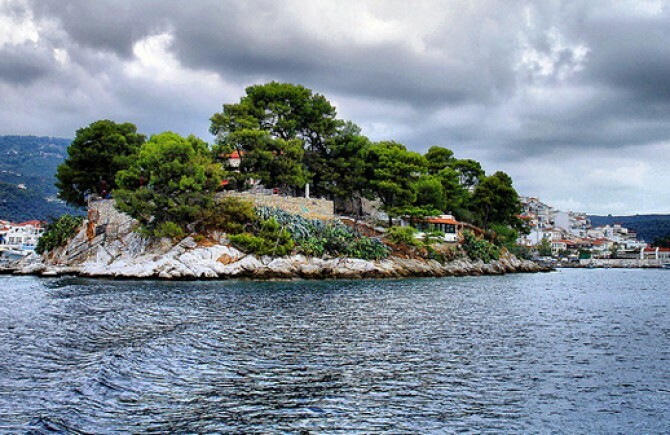 The most visited island is Tsougria, the biggest one of all. It has a couple of beaches, but the most popular one lies in a sheltered bay and offers amazingly clear turquoise water, that remains shallow for a long time, making it a very safe place for little children. The city of Skiathos is the only built-up area of the island. It is built on the southeastern tip of the island in a windless bay which separates the island of Bourtzi in two. It is a relatively new settlement, built in 1829 - 1830 on the site of the ancient city, on two hills situated at the edge of the sea. The ancient settlement was built in 800 BC. 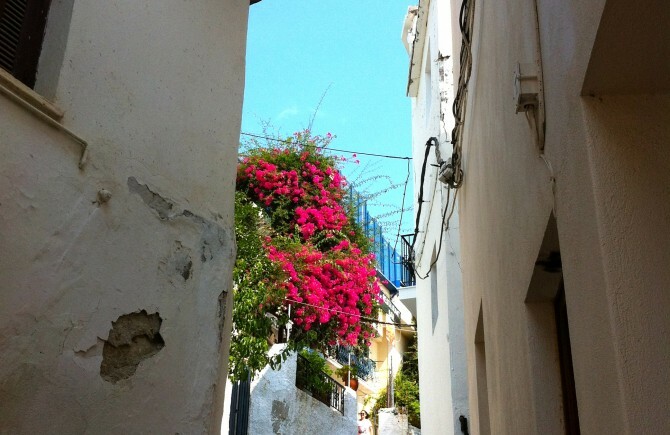 In the modern city of Skiathos, the houses are small and simple, with two floors in their majority and built amphitheatrically one next to the other. 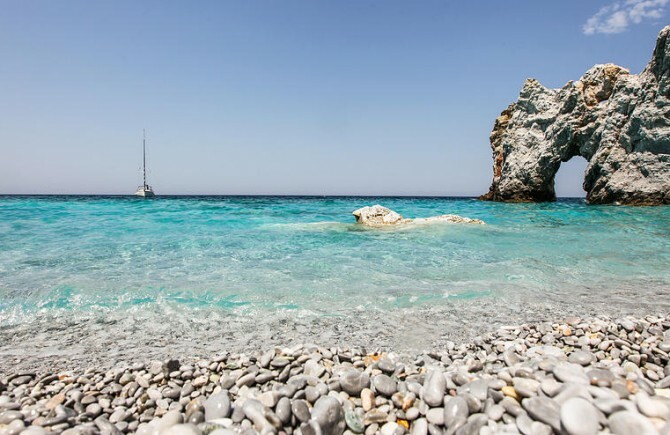 Located at the north western part of the Aegean Sea, Skiathos is an island known for its crystal clear waters and spectacular marine life. 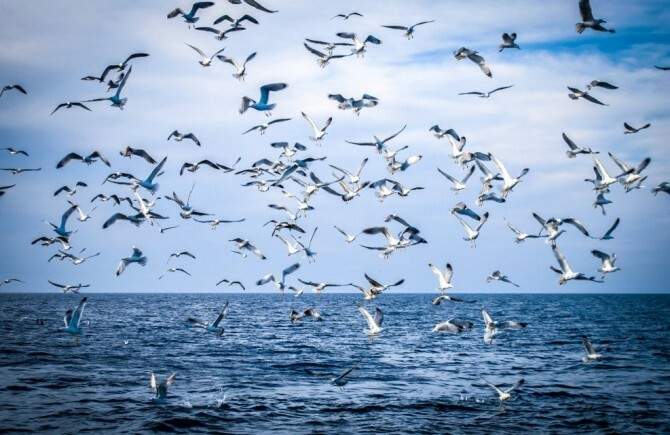 The calmness of the waters around the island of Papadiamantis has made Skiathos a popular destination among sail boat owners while divers and nature lovers also enjoy observing the seals and dolphins that have made Skiathos their home. 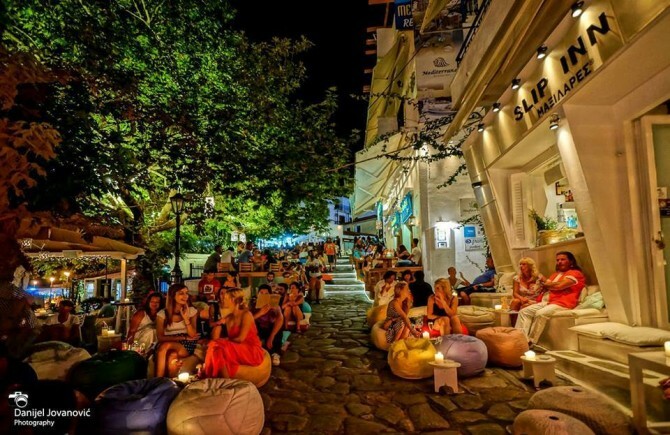 The old port lies on a picturesque location in the town of Skiathos, a place famous for its trendy bars and cafeterias, also known as Maxilares, due to the large pillows that serve as seats on top of a big staircase that leads to a communal church. This bay was originally called Krassa, but later it was named Banana after the nudist beach which used to be there.Â The pine trees here complete the beautiful landscape in a unique way and the sea shines brilliantly under the blazing sun.Â If you decide to go to Banana by bus, be prepared to walk for a while from the nearest bus stop. 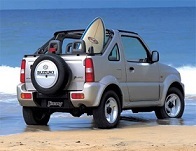 The beach is a meeting place for many young people since it offers water sports facilities, beach bars and cafeterias full of life and action. On the western tip of the cape of Kalamaki and in front of a dry swamp, there is this beautiful beach with calm, clear waters and marvellous fine sand. It is full of life and a lot of young people gather here. 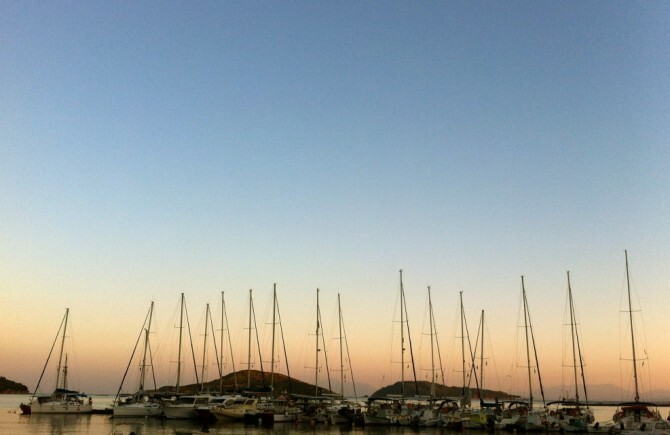 Next to the water, there are tavernas and beach bars, a Beach Volley court and water sports facilities. 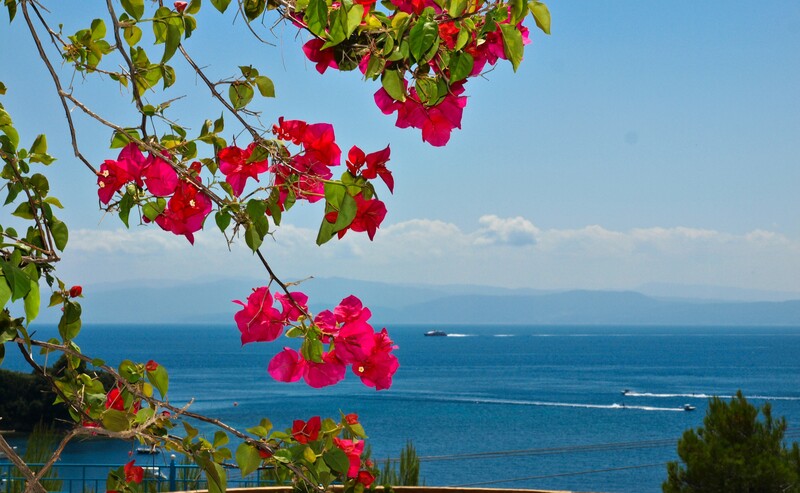 You can reach Vromolimnos by road or by boat leaving from the port of Skiathos. The Monastery of Evangelistria immersed in the greenery, deep in the Lekhounio gorge beside the springs in the place called Agalianos, under Karaphlytzanakia, the highest peak on Skiathos. In recent years, the Monastery of the Annunciation has managed to establish itself as a sheltered harbour of spiritual clam, an oasis of tranquillity, spiritual freshness and uplift in today's turbulent and anxious world. 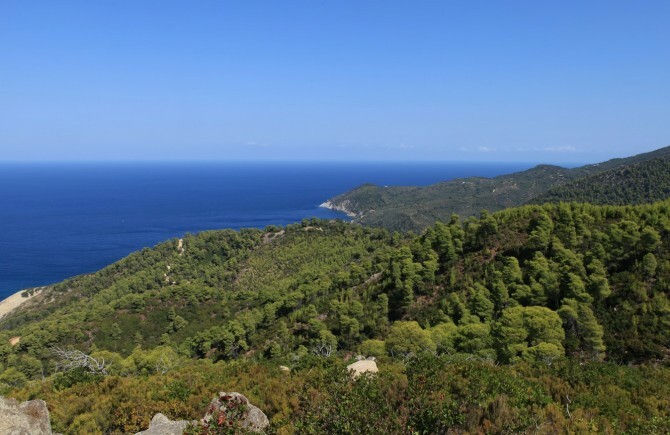 Around the middle of the 14th century, because of the continuous pirate raids, the people of Skiathos were forced to set up their city in Kastro, a peninsula on the northern part of the Island, which was a natural fortress. 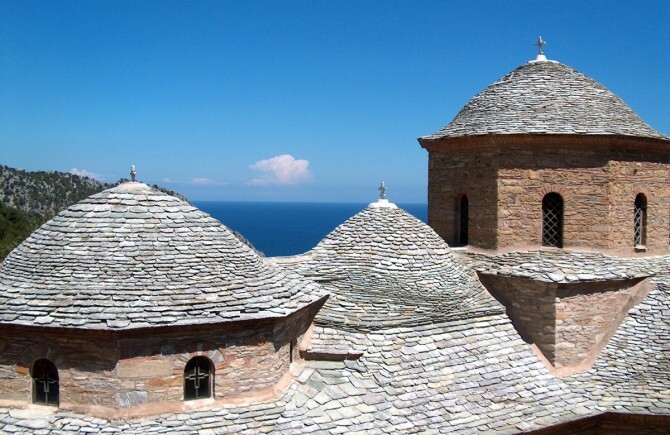 From the time it was built until 1453, Kastro was under Byzantine rule. Later, until 1538 it was under Venetian rule and until 1821 it was under Turkish rule. Today Kastro serves as the most important site of Skiathos, as it successfully narrates other times in a melancholy way, through the ruins. 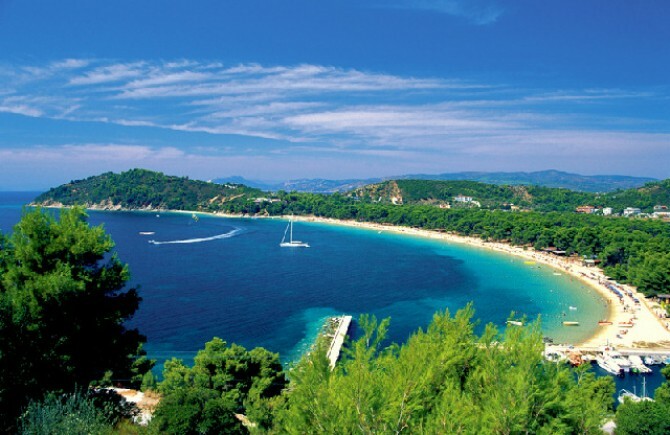 Bourtzi is a small peninsula which separates the port of Skiathos in two. 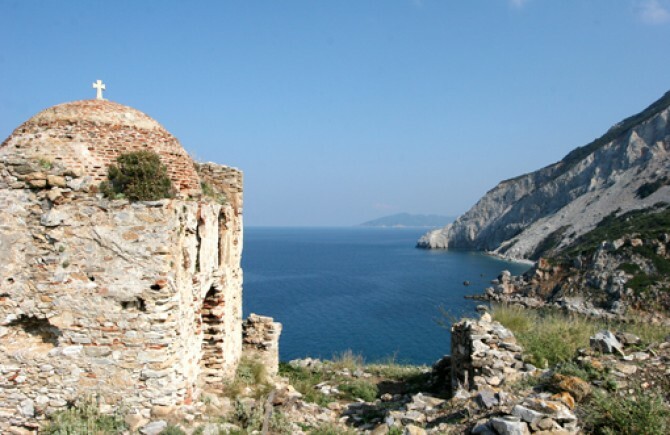 In the past it was a fort, which was established by the Gizi brothers who occupied Skiathos in 1207. It was surrounded by walls battlements and embrasures and on the left and right of the gate there were two round towers. 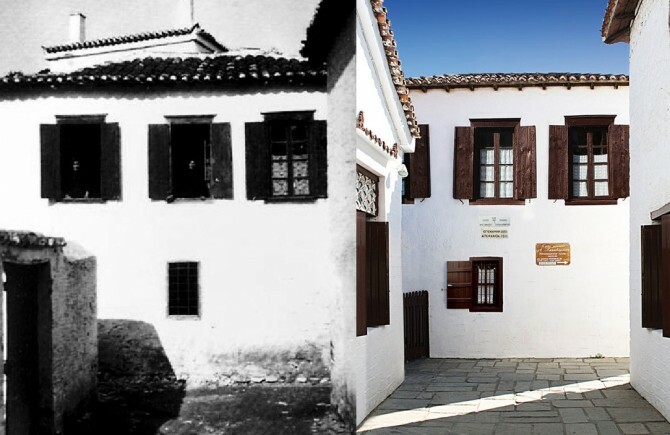 Today it serves as a Town Hall, Theater and Cultural Centre of Skiathos. The house where Alexandros Papadiamantis was born on 4th March 1851 does not exist today. It was sold and the new owners put it down. Papadiamantis grew up and died in the new house his father built in 1860, as it is said on a built-in inscription on one of its walls. This house is located about 100 metres inland from the eastern coast of the city, in a narrow street which is a dead-end. It could be said that it is a sidestreet of the present Papadiamanti street. We offer complimentary deli baskets to all clients that book directly through us, either by online reservations, telephone or email. 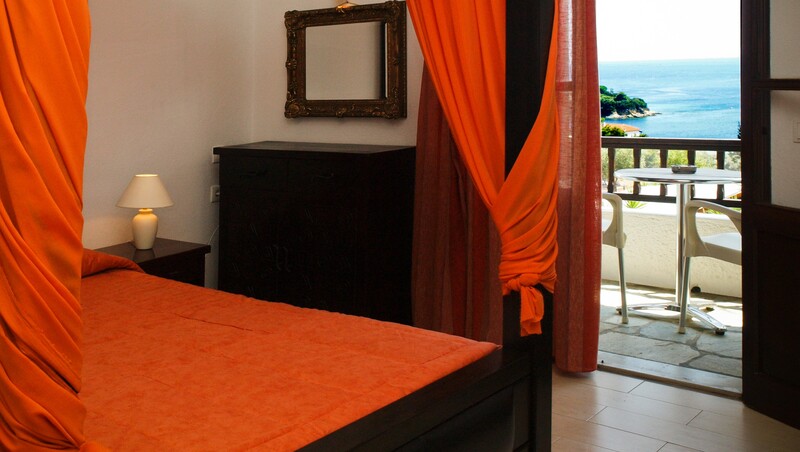 All of our fourteen premium studios are built panoramically on top of a steep hill with an infinite view of the Aegean Sea. Early wakers will also have the opportunity to enjoy one of the most beautiful sunrises of their lifetime. 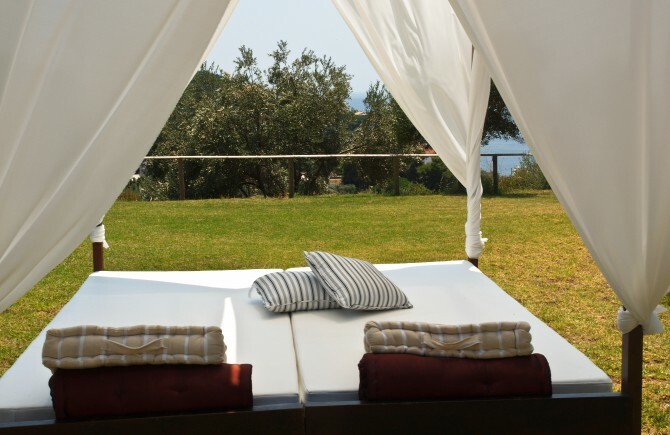 Built in a traditional architectural line and recently renovated, Margi House stands up high on the top of a hill with an infinite view of the sea and completely surrounded by olive trees, pines and beautiful gardens. Sit back and relax at our beautiful Margi House pool and gardens while listening to the tranquile noises of the cicada and enjoying the warm mediterannean sun. 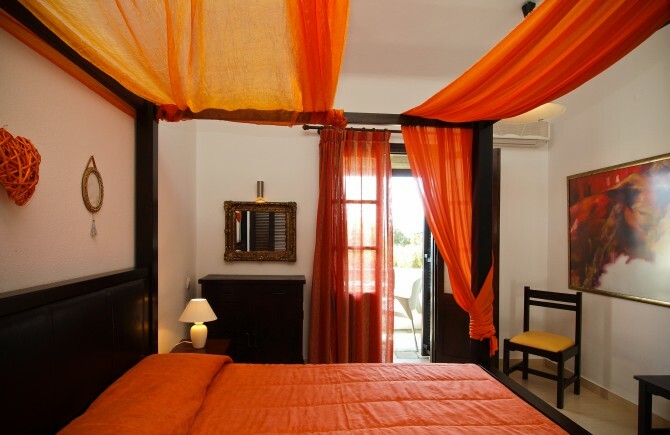 All of our rooms have been recently renovated and redecorated with beautiful colors inspired from the nature of the Mediterranean sea as well as the divine and manmade landscapes found in the northern Aegean islands. 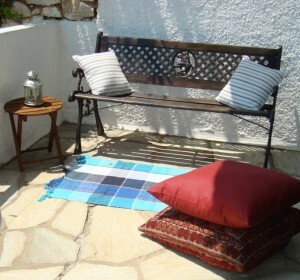 Margi House is a period building that is considered an ideal example of traditional Skiathos architecture. 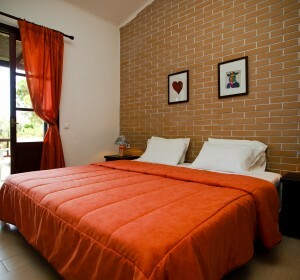 The hotel was constructed in 1973, based on Pylian stones, local wood and a beautiful rooftop coated with red tiles. The hotel has been renovated three times since then. Enjoy the warm mediterannean sun by taking a deep dive at our beautiful swimming pool, followed by a dip at our comfortable jacuzzi, built at the edge of the Margi House hilltop with the most magnificent view on the island. 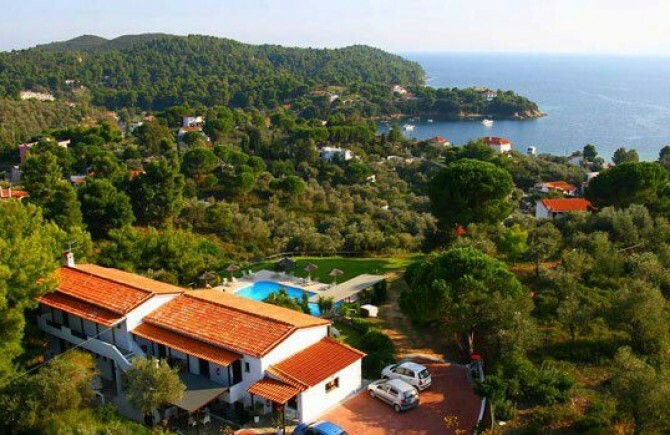 Standing high on top of a hill and with a magnificent view of the sea, Margi House is located approximately 6km from the port and the town of Skiathos and only 600 meters from the central road and the beach.